Australians are becoming increasingly concerned with the impacts of large dredging projects on their delicate marine environments. After the social, economic and environmental disaster at Gladstone after large scale port dredging, local communities are concerned about the impacts on recreational & commercial fishing, tourism and the marine ecosystem which is home to many endangered species. Dredging, and dumping of dredge spoil, produce suspended sediment plumes which can travel large distances in ocean currents. In a delicate ecosystem like the Great Barrier Reef, the impact of water turbidity is devastating. The living coral reef relies on sunlight to survive, as do the seagrass beds which are habitat for fish, dugong and turtles. The physical impacts of dredging, shipping and the associated noise has caused many dugong and turtle deaths, who began to wash up at Gladstone shortly after dredging began. Tourism is vital to the economy along the reef coast and thousands of livelihoods are threatened when the reef ecosystem is put at risk. 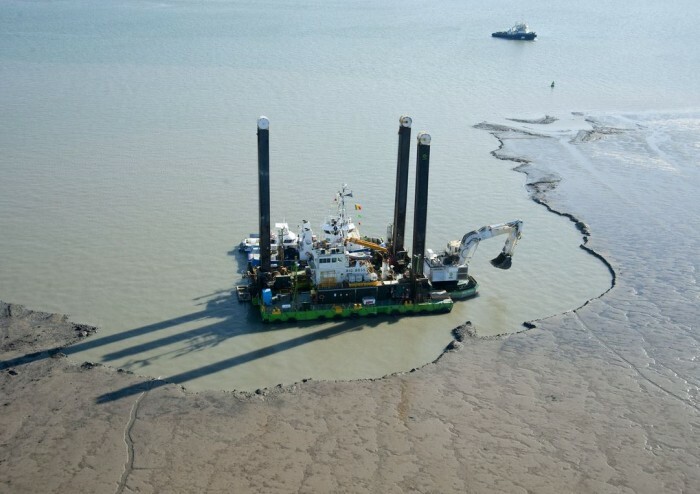 In this article for The Conversation, Senior Principal Research Officer at JCU Jon Brodie discusses the environmental impacts of dredging, the underestimation of ecological effects and the lack of transparency and proper management of the dredging process. Cairns’ Trinity Inlet is one of the major dredging projects earmarked by the Queensland Government along the reef coast. The aim is to increase the capacity of the existing port, which caters mainly for cruise ships and sugar exports. 5 million cubic metres will be dredged to expand the shipping channel into Trinity Inlet, with sea disposal of the waste proposed. To put the figure in perspective, 3 million cubic metres will be dredged at the controversial Abbot Point development, for which the government is facing two separate legal actions. A recent community survey by the Cairns and Far North Environment Centre (CAFNEC) showed that 95% of those surveyed were concerned with the dredging. Concerns range from impact on recreational fishing, to further muddying of the shallow coastal waters. The mudflats seen today at Cairns Esplanade were once a sandy beach, which disappeared after the original port dredging and subsequent sea disposal of the waste. A march to protect the Inlet from dredging will take place on Sunday, April 6th at 12pm beginning at the Esplanade Lagoon. Conservation hero Bob Irwin will speak at the event.